When it comes to running a modern business, technology is always a growing line item in the budget. Costs can creep up every quarter, along with a new learning curve for simply keeping everything running along smoothly. It is no wonder then that budget restrictions for IT were recently found to be a universal concern for small and medium business. You are balancing the outlay of maintenance with replacement, plus securing against a steady stream of threats – all while making sure every dollar gives you maximum return on investment. It even sounds exhausting! What typically happens is the tech budget gets stripped to a bare minimum, hoping nothing unexpected pops up and everything keeps moving along nicely. After all, everything is working just fine and that money could make a real difference elsewhere… except as soon as an IT emergency strikes, that tiny budget is obliterated and you’re left to either limp along with insufficient technology or have to dip into another budget area. Now imagine if budget wasn’t an issue. Imagine that all your tech expenses were predicted and capped, and you got everything you needed without resorting to financial magic tricks. Sounds good, doesn’t it? Reduced downtime and associated revenue loss. Forget scrambling while systems are down, with Managed IT Services you’ll know which tech is failing and can proactively repair or replace before it impacts your business. Downtime is planned or minimized and your staff are working on what they are supposed to be doing instead of being interrupted by technical dramas. Currently you have probably been responding to your IT events in a ‘firefighter mode’, essentially dealing with problems as they arise and switching to new, improved equipment only when forced by a system failure. With Managed IT Services, problems are automatically reported and optimal solutions designed in advance. 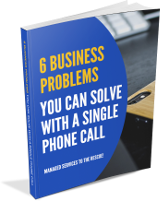 Even the small issues that have been slowing your business down and limiting progress come to light, ready to be solved for greater efficiency. You will be secure against data loss. Whether you’ve been following the news and worrying about the next cyber-attack, or you are working with confidential customer or proprietary data, your Managed IT Service has you covered. Our technicians secure your business against attack using the latest technology, full backups, software updates and leverage every drop of their know-how to keep your valuable data safe. 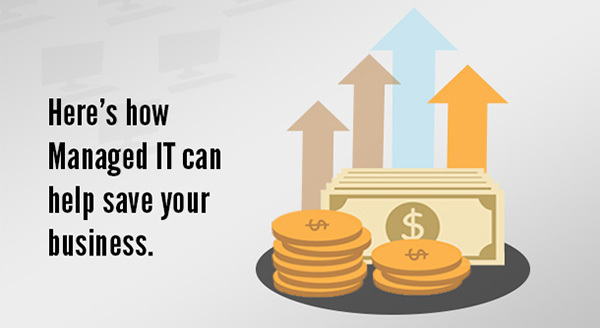 Learn know how Managed IT Services can benefit your business – give us a call on 08 8326 4364 or at support@dpcomputing.com.au.